Before I begin, I'd like to start by thanking all of the people who have shared my blog. It really makes me excited to know my content is being read and enjoyed! I'm sure this doesn't need said, but beware of possible spoilers in this post. The first theory I would like to address is the one many Star Wars fans have mused over, and that is that Rey is Luke Skywalker's daughter. This theory has gained a lot of traction because of the similarities between Rey and the Skywalker family in general. Rey is an excellent pilot, and seemingly so without any training whatsoever. Anakin was also untrained as a boy, but as we see in the Podracing scene, he is a natural pilot. Luke Skywalker also is known to be a natural pilot. He even takes out the Death Star on his first X-Wing run. Rey was found on a desert planet. This may not be important at all, but with the Star Wars series, they like to mirror the stories as much as possible, so in the first episode in the two existing trilogies, we meet a Skywalker on a desert planet. It could just be an intentional misdirection, but the similarities are strong. Rey is unnaturally strong in the Force. Anakin was supposedly using the Force to see what was happening before it happened in Episode I, and while Luke may not have learned as quickly, he is known to be one of the most powerful Jedi in the EU, and they make him out to be just as powerful in the Force Awakens, so Rey using the Force almost proficiently after her "awakening" sounds like something that would happen to a Skywalker. Rey was called specifically to Luke's lightsaber. Upon touching the lightsaber, Rey saw visions of Luke's past, in some parts she saw it as if she was in his place. As well as that, when she was being tortured by Kylo Ren, he mentions that he "Sees the Island" that she has been dreaming about. We know from the previous movies that the Skywalker family members can sense each other's presence very well, so maybe that is how she saw the Island that Luke was on before receiving the map. To add on to the lightsaber's significance, when Finn was defeated and Kylo reached out with the Force to grab the lightsaber, he could not. Rey on the other hand was able to pull it to herself with seemingly no effort. It's possible there was a Force grab tug-of-war there, but at the angle they were reaching at, that is unlikely. The final piece I will add to this puzzle is the ship that dropped off Rey. 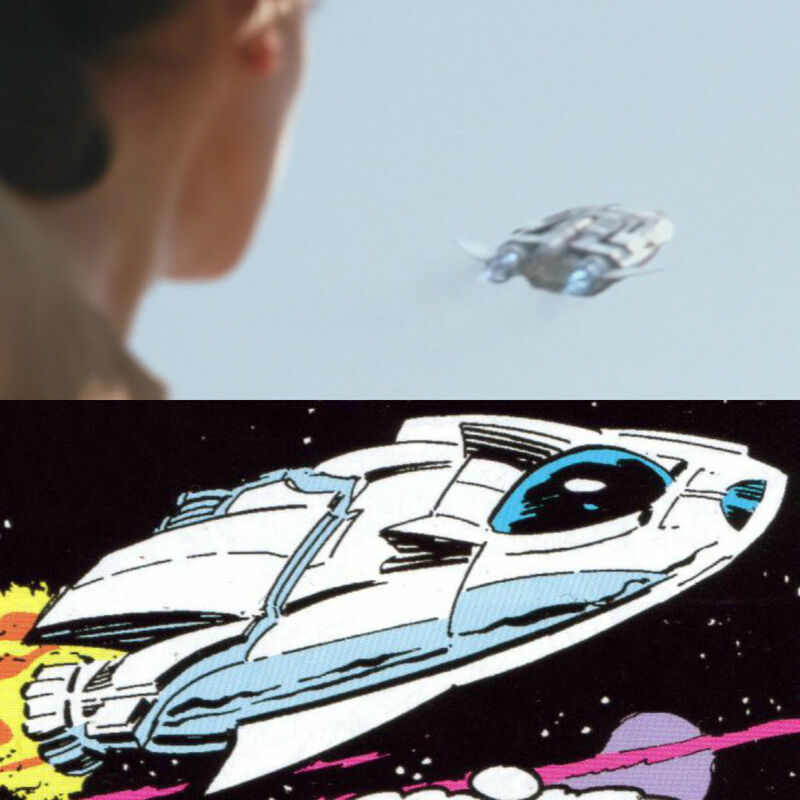 The top picture is from the movie, and the bottom picture is from a Star Wars comic made in 1984. In that comic, this was Luke Skywalker's shuttle. This could be an unintentional coincidence, but the similarities between these two shuttles are striking. This isn't the theory to end all theories, but it has it's points. The second theory I would like to cover is shorter. This theory stems from a rumored script leak that details Rey's lineage. The theory states that after confronting Luke about the possibility of him being her father, Rey is shocked to find out that she has no father, and that she was born of the Force, and is a reincarnation of Anakin. Essentially this theory is taking the "No, I am your father" line a little too far. 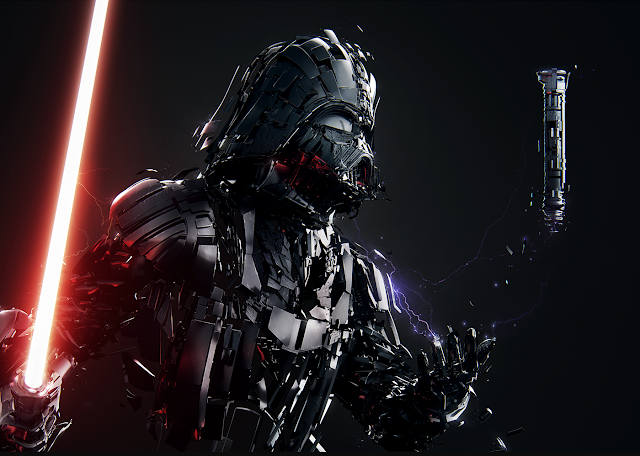 The theory states that every time the fate of the galaxy is threatened, the Force itself will conceive one who is to bring the universe into balance, and that Rey is the next incarnation of that. In the rumored leak, Rey has an Avatar: The Last Airbender moment and talks with the force ghosts of all of the past Chosen Ones. Altogether, I feel like the reincarnation savior thing is overdone, and I would rather not see it again. If you don't believe it's overdone, I would direct you to the Matrix series. The last theory I would like to cover is the one stating that Rey is either the daughter or granddaughter of Obi-Wan Kenobi. Kenobi has been known to have romantic entanglements in the Clone Wars series, which is considered Canon. Kenobi would have had all of Luke's childhood to find and have a relationship like that. Rey's clothing is also somewhat similar looking to Obi-Wan's robes in episode III. It may be unintentional, but who can say? In the force vision that Rey has after touching Luke's Lightsaber, Rey hear the voice of old Obi-Wan saying her name, and at the end of the vision, she hears young Obi-Wan saying "These are your first steps." The question is then, why is Obi-Wan in a vision connected to Luke's saber? Sure, Obi-Wan had possession of it for years, but so did Maz, and she wasn't in the vision. The fact that he was speaking directly to her makes me very curious as to why that is in the movie at all. Movie makers don't add something like that in without a purpose, so I very much would like to know the significance of Obi-Wan speaking to Rey. Lastly, she uses Obi-Wan's signature Force power as her first. She dominated the will of the Stormtrooper holding her captive by using the Force. Obi-Wan is shown to do this more than any other Jedi. These are the most interesting theories I have found so far. Please share my blog if you enjoyed them!